Relocating from Indonesia to the Gold coast of Australia, Leni now calls Worthing home. He is an award winning artist and has worked at high profile tattoo studios and conventions both in the UK and Australia. He has always been an artist and prior to embarking on his tattoo career worked for 15 years in the Film Industry as a senior scenic painter and sculptor, also as an airbrush artist and portrait painter. Although specialising in Black and Grey realism Leni doesn't limit himself to one style and is happy to take on new and interesting projects. Laura also comes from an artistic background with years of experience working in the Film and Theatre Industry as a sculptor and painter. After many years wandering the world, Laura met Leni in Australia and embarked on her tattoo career. Together they ventured back to Worthing to open Rock Steady Tattoo Studio IN 2013. Laura is now happily creating Illustrative and stylised tattoos in both black/grey and colour. Having completed his Illustration degree at Portsmouth, Dan landed himself at Rock Steady. He has always been artistic and this trait has run through four generations of his family. Dan loves anything dotty, neo traditional and lineal and is now spreading his tattoo's across the South Coast. With a background rooted in illustration Oliver has worked in varied styles for clients around the world and is confident in tackling all manner of tattoo projects. Although a core passion and source of inspiration for him comes from bold western and Japanese tattooing. 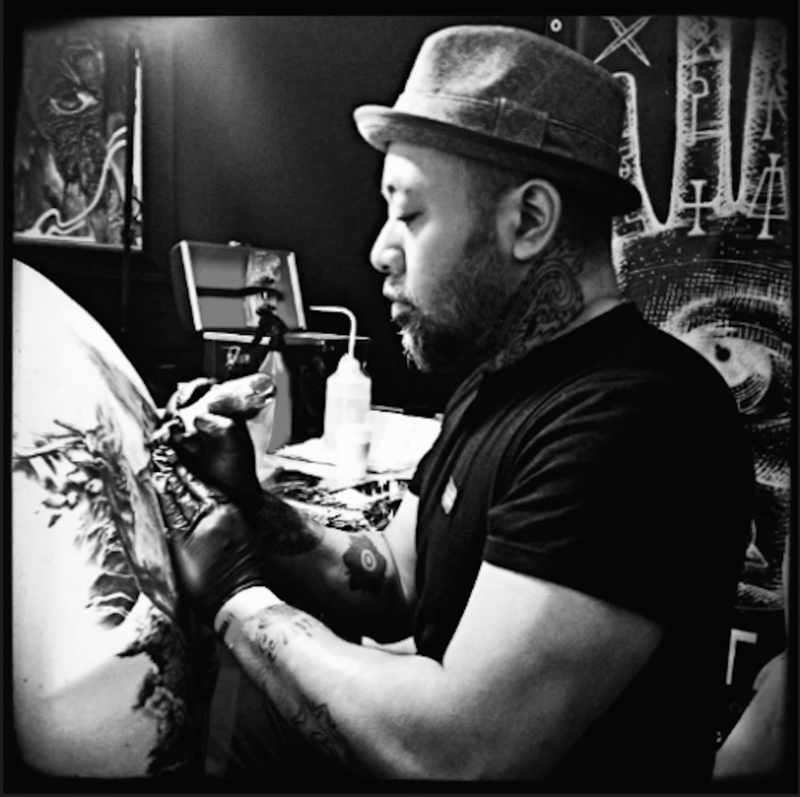 Oliver has a number of published tattoo themed books out on the market and has featured in many art shows as well as hosting his own solo exhibitions. He is is keen to take on large scale work as well as 1-hit pieces.